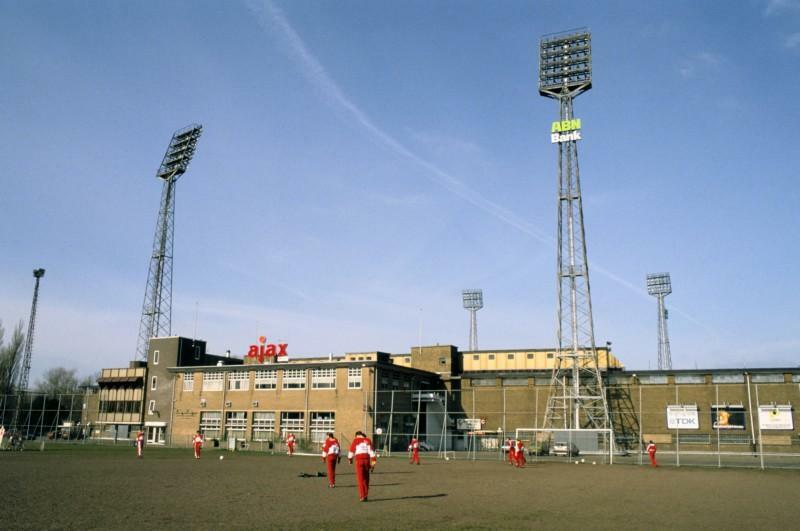 For over 60 years AFC Ajax played its home matches at stadium De Meer. De Meer opened on the 9th of December 1934 with a friendly match between Ajax and French side Stade Francais (5-1). It had an initial capacity of 22,000. The stadium changed little over the years. Some small extensions brought capacity to a maximum of 29,500 and roofs were installed on the stands at the short ends. In its latter years capacity decreased again to 19,000 due to the implementation of safety measures. 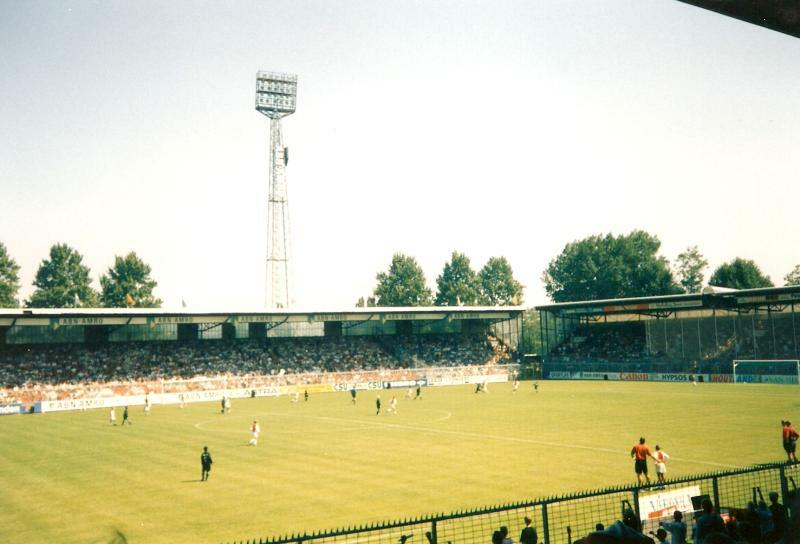 Due to its limited capacity most of Ajax’s European matches were played at the much larger Olympic Stadium, which could house over 60,000 fans. A total of 5 matches of the Dutch national team were played at De Meer, all won by the home side. In the late 1980s and early 1990s it however became increasingly clear that Ajax would need a new stadium to be able to successfully compete internationally, and in the early 1990s construction of the Amsterdam ArenA began. 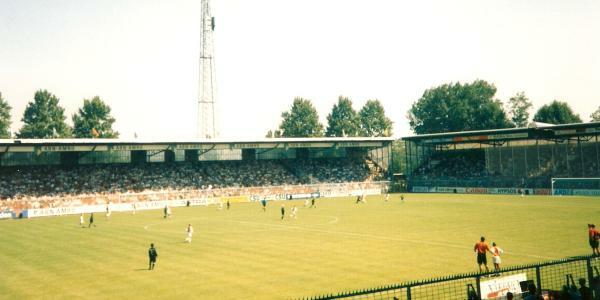 Ajax played its last match at De Meer on the 26th of April 1996. The league match against Willem II was won 5-1 and included a hattrick by Finidi George. De Meer was located in the south-eastern part of the city of Amsterdam, in the Watergraafsmeer area. 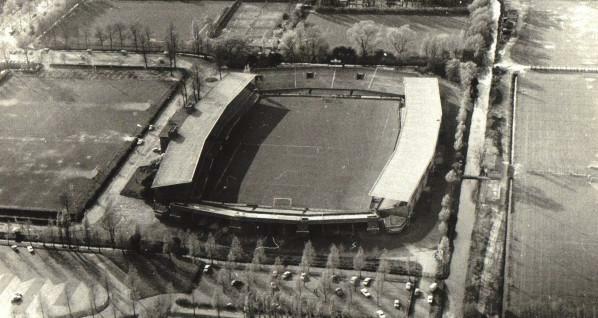 Following Ajax’s departure the stadium was demolished and replaced by residential housing and a park. No signs of the past stadium remain, however the new streets have been named after famous football stadiums elsewhere. This has, for example, resulted in an Anfieldroad and Wembleylaan.